MegaZip Adventure Park is located in Imbiah Hill Road. They offer zip line rides from 11am to 7pm daily. Admission fee depends on the ride you want to take. ClimbMax costs S$35, Combo ride costs S$59, MegaZip costs S$35 and ParaJump costs S$15. If you have concerns, you can call them at (+65) 6884-5602. 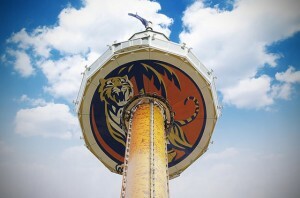 Tiger Sky Tower is located in Imbiah Road Sentosa Island. As the tallest viewing tower in the country, it gives an extraordinary view of Singapore. Admission fee for adults is S$15 and S$10 for children. They are open from 9am to 9pm daily. If you have concerns, you can call them at (+65) 6736-8672. 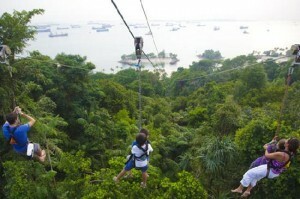 Flying Trapeze is located in Siloso Beach. You can try basic acts like splits, somersaults, pirouettes and knee hangs. Don’t worry because there are many experts that can help you perform these acts. Admission fee is S$10 per swing or a discounted price of S$20 for three swings. They are open from Monday-Friday (2:30pm to 6:30pm) and on Saturday, Sunday and Public Holidays (2:30pm to 7pm). You can call them at (+65) 6371-1064. Gogreen Cycle & Island Explorer is also located in Siloso Beach Walk. Gogreen encourages the use of hybrid bicycles while exploring Sentosa. Admission fee is S$28 for Island Explorer, S$18 for Tandem Bicycle, S$15 for 1hour of Hybrid Bicycle and S$12 for 1hour of Bi-Pedal. If you have concerns, you can call them at (+65) 6271-1057. It doesn’t matter what you do on your rest day as long as you enjoy your day. Rest days are best spent with family or friends around. Good luck and have fun!